An antique house in a sub-district in Bangladesh holds a heritage that reconnects the nation with India. Rabindranath Tagore’s ancestral home in Shahzadpur holds not only historical value but the potential to satiate the region’s educational needs. Prakash Bhandari reports from Dhaka. Shahzadpur Kaccharibari, a sub divisional headquarter located about 200 km from Dhaka has an iconic building. This building which is now a national monument was once the home of the Nobel Laureate Rabindranath Tagore. Residents of his miniscule sub-district in Bangladesh are proud of the poet who lived here and wrote some of his early works in the house and Tagore’s birth anniversary celebrations continue to be a fixture in the local calendar. Many even hold Tagore on par with the revolutionary Bangladeshi poet Kazi Nazrul Islam. Tagore's grand father Prince Dwarkanath, who hailed from Kolkata’s Jorasankho area, was a landlord. He bought a very large estate in Shahzadpur from a zamindar (landlord) Rani Bhabhani of Natore in 1840. A young Tagore was sent to Shahzadpur to maintain the estate and as the new zamindar of Shahzadpur patronised the poor in the area and even launched a rural banking system. 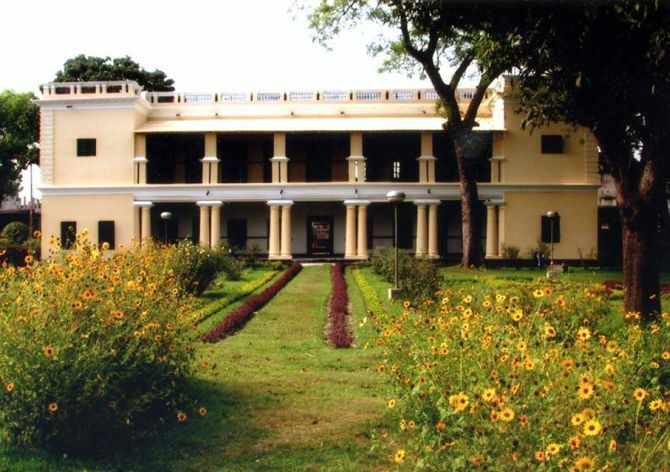 “Tagore lived in the mansion which was part of the deal when the estate was bought by his father. Tagore penned some of his earlier classics during his stay here. Gurudev was moved by the plight of the poor and donated 1,200 acres of cultivable land that helped the landless farmers earn their livelihood. This is one aspect of his generosity towards the people of Bangladesh which very few people know,” said Naseemuddin Malitha, a Tagore researcher based in Dhaka. “At one stage in his life Tagore even thought of setting up his dream Shantiniketan at Shahzadpur. But family circumstances, particularly the large size of the household, precluded this from happening. So, Tagore set up Shantiniketan which was closer to the erstwhile Calcutta,” said Sheikh Bayzed, senior school teacher of Shahzadpur and a great lover of Rabindra Sangeet. In 2015 on his birth anniversary, Bangaldesh Prime Minister Sheikh Hasina laid the foundation stone of Rabindra University in Shahzadpur. But like many a government initiatives the foundation stone was all that was laid. The Bangladesh government did little by way of budgetary allotment for the proposed university. However, it earmarked a vast patch of land in a village Rautara near Shahzadpur for setting up the university complex. The foundation stone is now left leaning on a wall at a government office in Shahzadpur. “The Bangladesh Sansad (parliament) is yet to enact the act for setting up a university in his name. Without an act of parliament no university can be set up,” said Mohammed Zaman, additional director of the Bangladesh University Grants Commission. The government, however, has set up a committee that would advise the government on the modalities of the university. “We are working out various models to set up the university but it would require some more time. Once parliament passes the bill relating to the formation of the Rabindra University the actual process would start,” said Dr Abdul Khaleeq, who is the convenor of the committee that will prepare a draft plan for the university. The bill relating to the Rabindra University was introduced in the Bangladeshi Parliament by Bangladesh Education Minister Nurul Islam Nahid in February this year. This bill was subsequently sent to the parliamentary standing committee for preview. The standing committee, after much deliberation, sent its report to the speaker and it is hoped that the bill may be taken up by the parliament in the next session. Once the bill is passed, the university will be built on the lines of Shantiniketan and it would work much in the same way as Tagore’s Visva Bharati runs the affairs of Shantiniketan. “We would study the Visva Bharati model of Shantiniketan and would assess how best we could adapt Shantiniketan's model in the Bangladesh’s social landscape. But the university will certainly have all the streams of studies like any other modern university,” said Abdul Razzaq, a former vice chancellor of Rajashahi University, who is also a member of the committee formed by the government. But there is one section of the Bangladeshi polity, particularly the leftists, who are somewhat distanced from the idea with some going so far as to describe Tagore as a feudal poet since he belonged from a background of landlords. The leftists felt that Tagore lived in an ivory tower and was far away from the realities of common people. The leftist authors in Bangladesh consider Tagore as a Hindu poet. 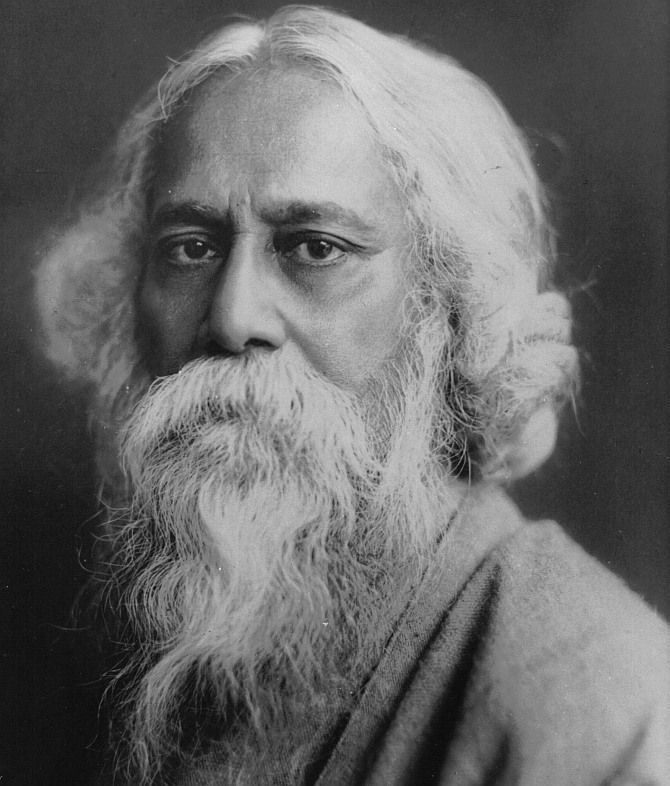 During the days of the erstwhile East Pakistan, the leftist authors described Tagore as a bourgeois poet, detached from the lives of commoners. Some leftists even described him as nothing but a romantic poet. But leftist politician and scholar Haider Akbar Khan Rono feels that calling Tagore as a ‘bourgeois poet’ was erroneous. “For Tagore the centre of religion was mankind. Tagore could never have thought of religion speaking for a god detached from common man. He was a humanist and sought to place man in the broader context of humanity that sees them beyond their individual religion identities and customs. It’s true that he was a zamindar but nowhere in his life did his status as a landlord weigh over his status as a poet,” said Rono.